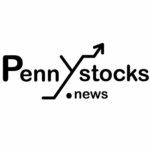 Irvine, CA — October 25, 2018 — InvestorsHub NewsWire — UA Multimedia, Inc. (OTC: UAMM), a solution provider of cannabis ancillary products and services, today announces update of its reorganization effort and business plan. Due to the slow development in the cannabis industry and prolong weakness of the crypto sector, the Company had made a few adjustments to its business plan. The development efforts on several previously announced applications and crypto ecosystem had been put on hold temporarily. For the near future, the Company plans to focus on three main applications, advertising portal, dating and online store. Due to limited traction, the Cannaxa.com site has been taken down and some of its features are being integrated into MJCircle.com. In addition to being an advertising portal, MJCircle will allow users to post their profiles and interact with other service providers or customers. The Company recognizes that there is a large population of like minded individuals in the cannabis sector and as such it has initiated development effort on a dating application that will allow these individuals to socialize and connect. The application will be available on the desktop as well as mobile devices. Soft launch of the platform is tentatively scheduled before year end. Development effort for the online store, CannaMedi.com, has been initiated and the site is expected to go live before the end of the quarter. CannaMedi will offer for sale various pain relief and wellness related products that are CBD based. “The development of the cannabis industry and adaptation of the crypto technology have not materialized as we anticipated so it was necessary for us to reorganize and refocus our efforts for the near term. Once launched, we expect the three applications to attract large number of users resulting in strong revenue streams for UA Multimedia,” commented Michael Lajtay, President and interim CEO. UA Multimedia, Inc. is a solution provider of cannabis ancillary products and services. The Company currently own and maintains a classified ads portal, MJCircle.com, with a dating application and online store under development. This release contains forward-looking statements within the meaning of Section 27a of the Securities Act of 1933, as amended and section 21e of the Securities and Exchange Act of 1934, as amended. Those statements include the intent, belief or current expectations of the company and its management team. Some or all of the events or results anticipated by these forward-looking statements may not occur. Prospective investors are cautioned that any such forward-looking statements are not guarantees of future performance and involve risks and uncertainties, and that actual results may differ materially from those projected in the forward-looking statements as a result of various factors. Accomplishing the strategy described herein is significantly dependent upon numerous factors, many that are not in management’s control. UA Multimedia, Inc. does not undertake any duty nor does it intend to update the results of these forward-looking statements. – $BDCI – Bahamas Development Merger update!